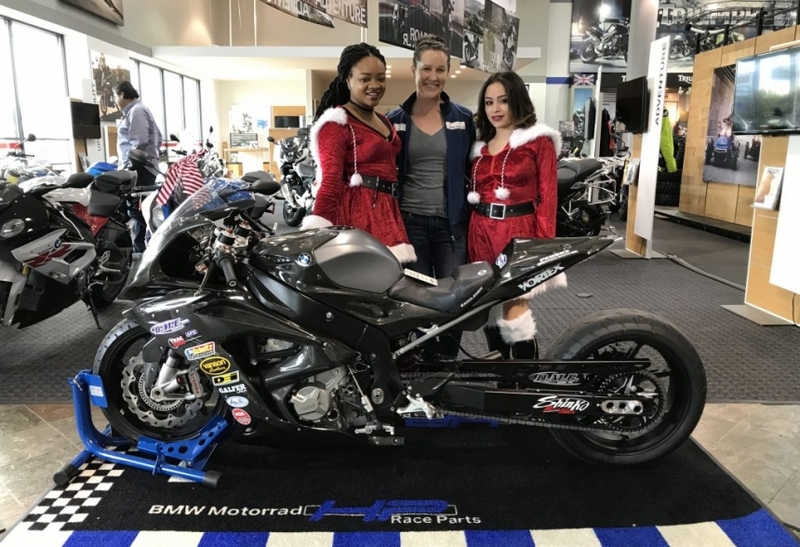 We hung out at Team Mancuso Powersports Southwest for their BMW Demo Day & Holiday Party. The dragbike was on display all day and Elyse got to talk to a bunch of motorcycle enthusiasts who were passing through for the demo rides and hanging out for the party. There was a food truck on site, but the highlight of the day was cranking the race bike on the show room floor; it definitely drew a crowd! Looking forward to the next event!